The typical business spends $11 to manually process each and every invoice. Now think about the number of invoices that come in and out of your AOG shop each day, and the numbers add up. Which is why a growing number of businesses are choosing to outsource invoice processing to a freight payment provider (FPP). FPPs are in the business of receiving, organizing, paying, analyzing, and recording freight invoices. Since this is their singular focus, it follows that an experienced payment provider will offer seamless invoice management and payment processing, much more so than even the best in-house accounts payable team. For example, a typical AOG will have contracts with multiple transportation providers, depending on shipment content and urgency of delivery. The AOG will negotiate a different rate with each carrier, along with other conditions of service. Processing these various invoices manually would require a specialist to look up the terms of service for each provider, and ensure the proper rate has been applied. Not only is this a pain-staking process that requires a tremendous investment in staff resources, but it is also highly prone to mistakes. A recent article in Inbound Logistics highlighted one FPP that was able to “catch” a significant error in one client’s invoices. The result? The client had the carrier make the necessary adjustments, which result in a savings of thousands of dollars. Would your internal processes have caught that error? Research by American Shipper found that almost 90 percent of freight invoices contain inaccuracies when they arrive at the shipper. Across modes, respondents said only 13 percent of ocean freight invoices arrive with no inaccuracies, 11 percent of truck invoices, and just 10 percent of air invoices. This is a compelling statistic in support of having an automated system in place to catch these mistakes, and to regularly audit invoices. The audit findings can then be used both to improve internal processes and, as important, as leverage in negotiating future carrier contracts. But arguably the most compelling reason for enlisting a FPP, is the volume of essential business information that can be gleaned from freight invoice analysis. This is possible because of the high-performance technology system an experienced FPP will offer which, more times than not, is far superior to any system maintained by an individual business or company. In fact, FPP capabilities with regard to data analysis have become so refined, that a growing number of companies are turning to their provider to help analyze freight spend, with an ultimate goal of reducing costs and optimizing their supply chains. Deep analysis of freight payment data can identify patterns and trends which could be useful for identifying weaknesses in current processes, along with areas that seem to be especially strong. 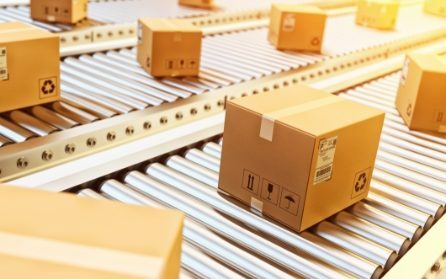 If data indicate a high incidence of charges for late deliveries to a particular location, for example, a manager could investigate to find the cause, and take corrective steps. Similarly, effective analysis could determine if a particular shipment type is incurring excessive costs because of dimensional weight factors. If so, it might be more effective to ship that item via a dedicated truck. A final consideration is the positive effect a well-managed freight payment process can have on RFPs. For one thing, your “statement of services required” will be highly accurate with regard to volume, lanes and service levels. And, using the old adage that “the numbers don’t lie,” your analytics will offer strong leverage in the contract negotiating process. In the busy world of AOG services, where shipping decisions are made on a dime and time is money, it can be easy to forget that there are ways to truly add value and efficiency to your operations. Enlisting a technology-based freight payment partner is one of those areas. Through an FPP, a business can take one of its most important processes – the payment and management of invoices – and through technology, make the process more efficient and less costly. And as with most other technological innovations that have come down the pike in the past decade or so, it’s only a matter of time before outsourcing to a FPP will be a normal course of doing business.